In April, Chipotle Mexican Grill became the first restaurant chain to remove all direct sources of genetically modified organisms (GMOs) in the ingredients it uses in cooking. According to the company, the tortillas, corn, rice, beans, vegetables, chips, salsa, and marinades used to cook the meats all are not genetically modified. The 1,831-restaurant chain also is now using GMO-free sunflower oil and rice bran oil in place of the soybean oil it used to use. 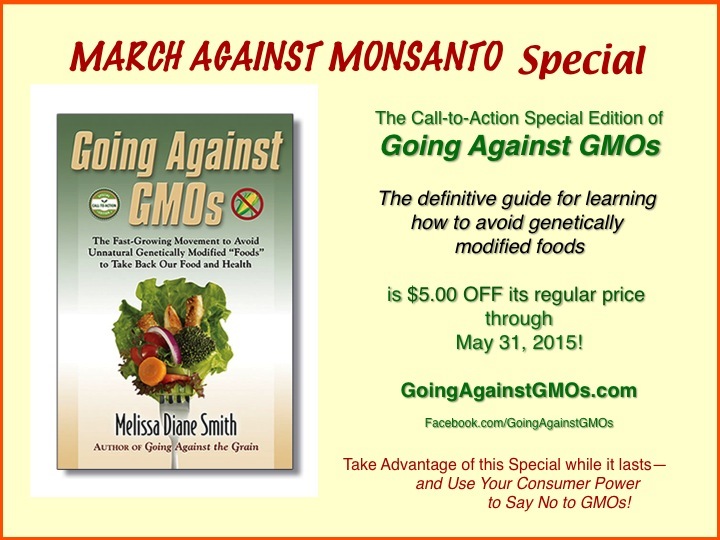 This year’s March Against Monsanto Day of Action is May 23, 2015. The March Against Monsanto is a people-powered, worldwide display of protest against unnatural genetically modified organisms (GMOs) in our foods and against the chemical companies, such as Monsanto, that produce them. The event is a terrific vehicle for expressing our upset, anger, and frustration about the corporate takeover of our food. With the media and Internet coverage the event gets, the March Against Monsanto also does a fantastic job of raising awareness about the serious issues and dangers associated with GMOs to the masses.